Valcambi is one of the largest refineries in the world, and also one of the oldest, created in 1961. This Swiss company was founded by a group of private investors involved in precious metals. Valcambi’s headquarters are located in the south of Switzerland, in Balerna, a few miles from the Italian border. With 210 employees and facilities on 7 acres, the company produces over 2,000 metric tons of precious metals yearly. This former branch of Crédit Suisse devoted to the purveying of gold bars for banks was purchased in 2010 by European Gold Refineries, in which Newmont Mineral Holdings has a 60% ownership. The brand logo is made of four triangles in a golden square. This symbol has often been used by several civilizations throughout History, namely the Tibetans and the Aztecs. The logo symbolizes the perfect harmony between gold and the spirit of time. Valcambi uses the very latest technology in its refining processes. 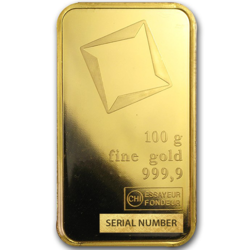 Its silver and gold bullion are “Good Delivery” accredited for the LBMA, meaning its products respect the referenced technical specifications for fineness and quality. Valcambi is the first refinery to have developed products that are adopted by all market participants, including other refineries such as, for example, the one-ounce gold ingot. 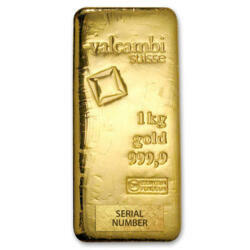 Valcambi offers a large selection of products, including gold rounds ranging from one gram to 100 grams. 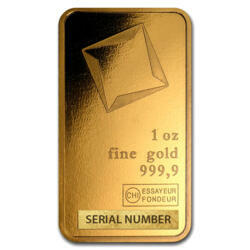 Other products offered include “Combi bars”, gold grains, and gold medallions. 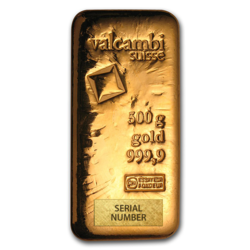 Each product, whether gold, silver, palladium or platinum, is stamped with the brand name “Valcambi Suisse” along with the logo. Valcambi provides other services for sector professionals, such as transport of large quantities via specialized partners. 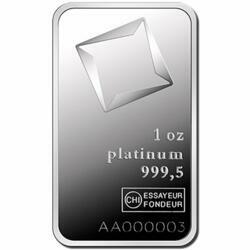 It also offers storage, from 100 kilograms up, of gold and other precious metals in secured vaults in Switzerland. Valcambi does not participate in any other operation such as trading or retail distribution that could lead to conflict of interest. Valcambi’s philosophy is to establish trusting long term relationships with its customers, employees and suppliers. Its long experience has brought Valcambi an impressive number of accreditations and certifications throughout the years. Valcambi is a historic partner of LBMA Good Delivery, since it has been an official supplier of this market since 1968. It has also been accredited to sell on the COMEX and CME Group since 1974. In the course of all those years, Valcambi has accumulated several international certifications, such as ISO 9001 and ISO 14001. Always striving to improve, Valcambi received, in 2013, the LBMA Responsible Gold Certificate for its line of Green Gold products, which includes the 1kg gold ingot. Valcambi was the first private company in the world to offer “green” gold from industrial mining, i.e. gold that is traced at each step, with guaranteed documentation, from mine to refinery.